Normally when I cook, it is 100% from scratch. Every now and then I do improvise though to make hubby happy. 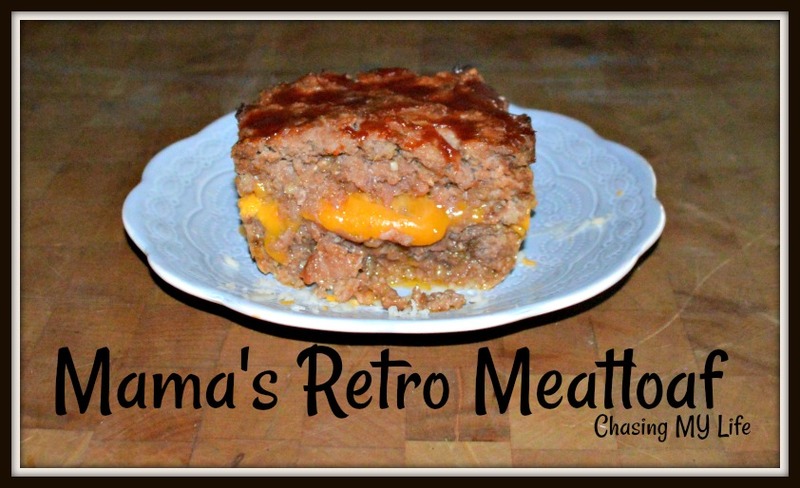 He’d prefer hot dogs and mac and cheese regularly, but will settle for this improvised meatloaf. This recipe holds together so well that it also makes one of his favorite sandwiches which is why I think he really likes it. I don’t know the originally ingredient list, but I’d bet money the recipe was originated by the Lipton Soup people. I’ve updated it for some additional flavor. Combine the sirloin, pork, soup mix, Jalapeño ketchup, eggs and panic crumbs until well blended. Be sure and sprinkle he soup mix all over so it does not get clumped in one area. Place half the meat mixture in the bottom of a 9×5 loaf pan. Layer cheese evenly on top of meat mixture. Spread regular ketchup on top of meat loaf.